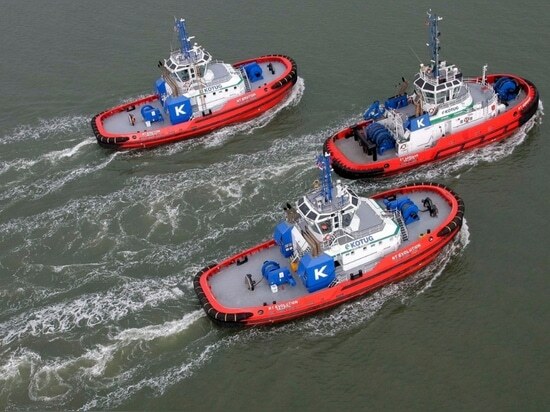 Dutch company Kotug has received the KVNR Shipping Award for its ART80-32 Hybrid Rotortugs. The award was presented at the tenth Dutch Maritime Awards Gala in Rotterdam to the ART80-31 for its advanced design, improved versatility and flexibility. The propulsion configuration of the new-generation ART80-32 Hybrid Rotortugs series draws on the proven design of Kotug’s first hybrid Rotortug built under class,” said Tineke Netelenbos, chairman of the KVNR Shipping Award jury. The optimised hull shape of the Rotortug allows for speeds of over 13 knots. In terms of bollard pull, it reaches 84 tonnes over the stern and 82 tonnes over the bow. 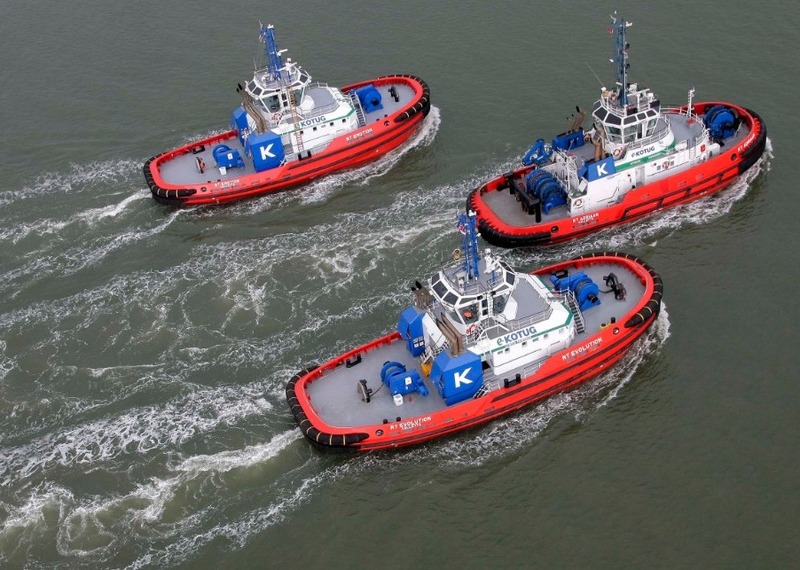 Kotug already operates three hybrid Rotortugs, RT Adriaan and RT Evolution are operating in the Port of Rotterdam and RT Emotion has commenced towage activities in the German port of Bremerhaven. The Damen-built 32-metre hybrid creates a 50% reduction in harmful emissions, significant noise reduction and cleaner combustion, thanks to improved fuel economy. It is generated by three electric motors complemented by a battery pack and managed by a XeroPoint Hybrid Propulsion System. “We are proud that our active green policy resulted in three fully classed E-Kotug series of hybrid Rotortugs. The hybrid tugnology provides economic advantages by a very efficient and eco-friendly sailing profile, optimizes working conditions for the crew and minimizes harmful emissions”, said Ard-Jan Kooren, Kotug CEO. He concluded: “The KVNR Shipping Award is the recognition of our green performance, innovative culture, imposed in all our services dedicated to the maritime industry”.